Customization is an important asset to help you better serve your customers. To empower your business Solve provides custom fields on contact, company and project blog records and all activity types. About those custom activity fields for tasks, events and follow-ups … they’ll now be included in all email notification and reminders. This simple feature can provide serious firepower to supercharge your work processes. This changes the data seen in the emails so we’re giving an early “heads-up” so folks aren’t surprised by the additional information being included in their emails. 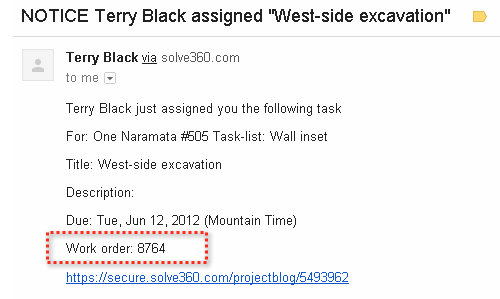 We plan to enable this feature next Monday, June 18th, 2012. If you have any questions or concerns, feel free to reach out to our support team.